I want to say thanks for making it possible to play Warcraft 2! I have played a lot of LAN with my buds, but I think the time is to move on. I have problems leaving however, I know it is hard for the both of us, but we both need to let go. When I play with Starcraft: Brood War (original) it says i cannot enter Battle.net as my game is not a vaild one. I can log on to server.war2.ru, even though war2 has nothing to do with SC:BW. Is there someone here who knows how I can get off the server.war2.ru so I can gain connection to Battle.net?? Step 2. Dream of the glory days of Warcraft 2. Step 3. Allow the nostalgia to carry your fingers into reopening Warcraft 2. Step 4. Host Warcraft 2 game and happy gaming! I am considering a complete wipe of my PC inorder to get a fix... Wouldn't want that, but.... is it the only way?? Totally depends on what the root of the problem is to be honest. I would just try to reinstall the game? Maybe it's a bug with your CD-Key. Also make sure you've clicked on the correct Gateway. 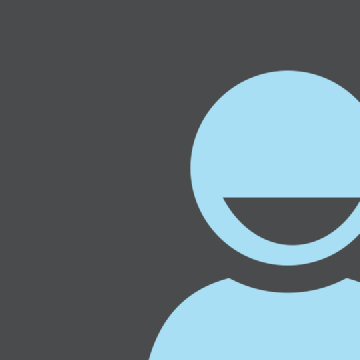 Are you using a modified version of SC? 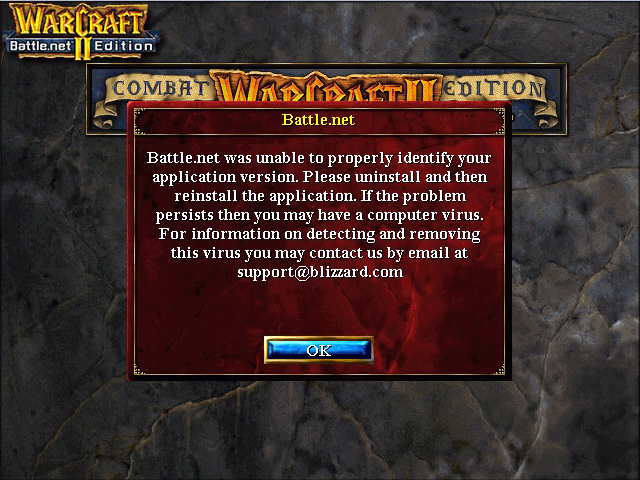 War2combat edition gives a similar error when trying to connect to bnet servers, only the original War2BNE (cd or iso) will work. I still play brood war on USEast unlike most here, did you install the game with a valid cdkey? Where did you get the install.exe? Was it from blizzard? You bet it is real! I have tried reinstalling the game several times, but still no change at all. The setup file is downloaded directly from Battle.net and is as previously state, retail version. As I live in Denmark, I wish to play on the european server. It gives me the following error message when I attempt logging in. "Battle.net was unable to properly identify your application version. Please uninstall and then reinstall the application. If the problem persists you may have a computer virus. For information detecting and removing this virus you may contact us by email at support@blizzard.com"
I hope additional info can be helpful! this place i went to play. looks like they are after dota now but i think they still have scbw people there. the gateways isnt the problem with you entering bnet.i have no idea on that man, if ur using a good cdkey and patched to latest version. Oh did try running the program as administrator? Also, when you install SC make sure you create a desktop shortcut and open SC from there. I have tried in administrator, but no result. I will try their forums. Are you running the Starcraft from the shortcut that is made on the desktop during installation?? Because this is the same problem that happens on my computer.